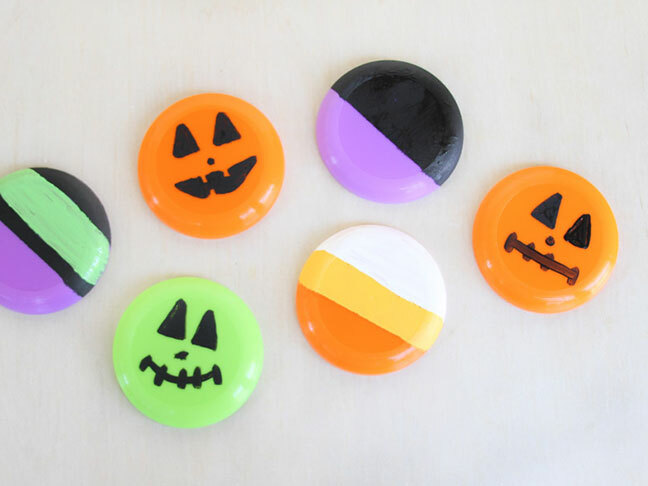 Looking for candy alternatives for Halloween this year? 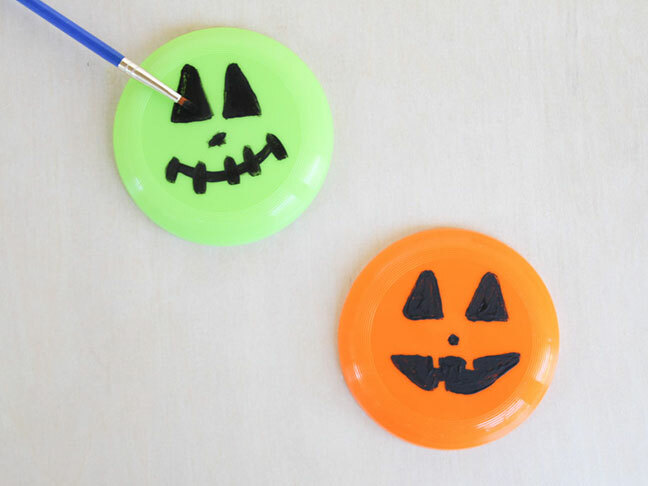 Decorate miniature frisbees, in a pinch, as a fun candy alternative for trick-or-treaters. 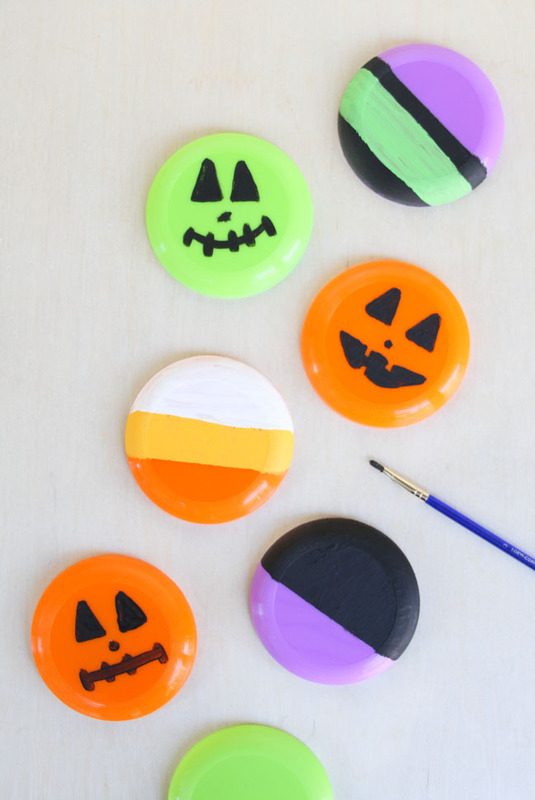 Or add these DIY frisbees to goodie bags and party favors for Halloween parties and the like. 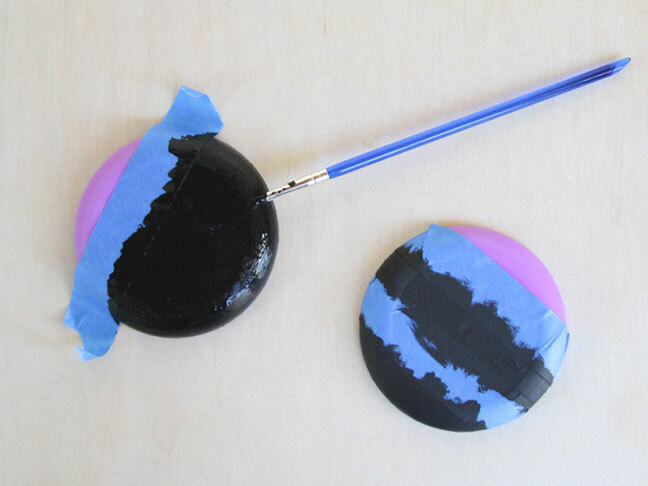 Step 1: To create a jack-o’-lantern frisbee, use black paint to create a simple pumpkin face. It’s as easy as creating two small triangles for eyes and an elongated half oval for the mouth (leaving cutouts for teeth). 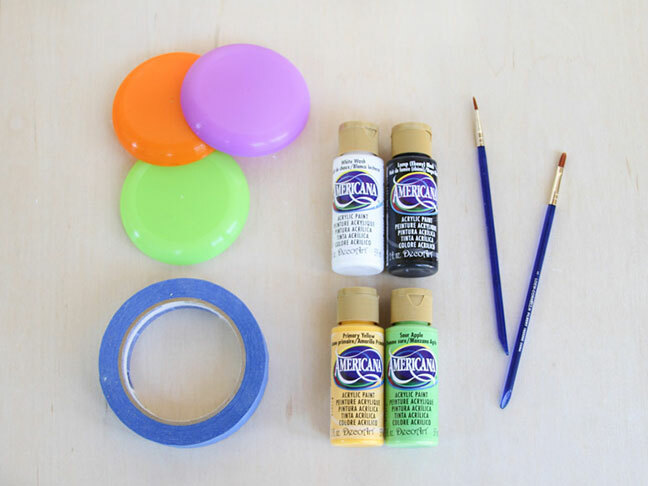 Let the paint dry before spraying with a sealant. 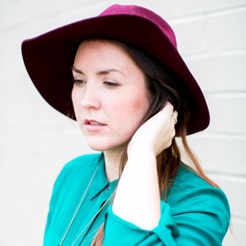 Step 2: Another design option is something more abstract—just a series of stripes. 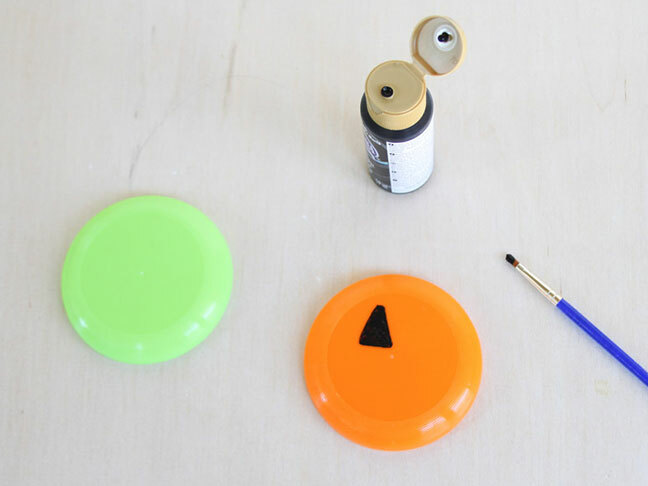 For this type of frisbee design, use painter’s tape to create sharper edges and paint one color at a time. 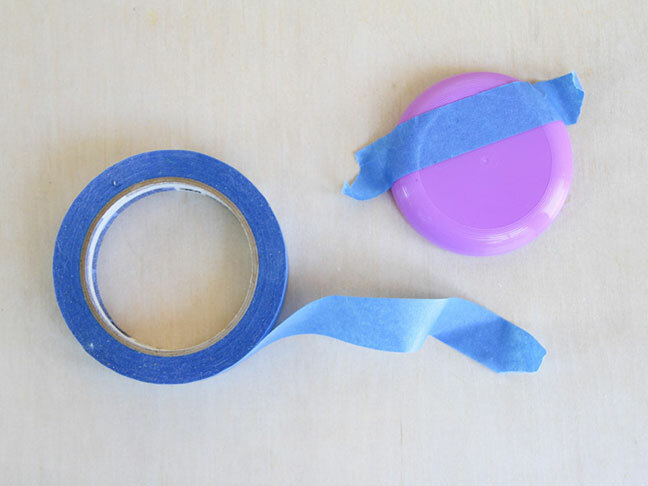 Wait for the paint to dry before removing the painter’s tape and adding new tape to create stripes in another color. Let the paint dry again before spraying with a sealant. 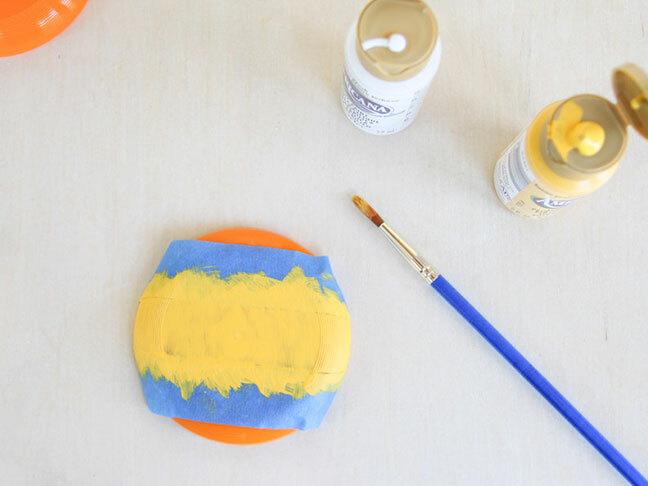 Step 3: Along those same lines, you can create a cute candy corn design by painting a yellow middle stripe on an orange frisbee and then painting a white stripe on the end, after the paint has dried. Again, spray with a sealant after the paint is completely dry. 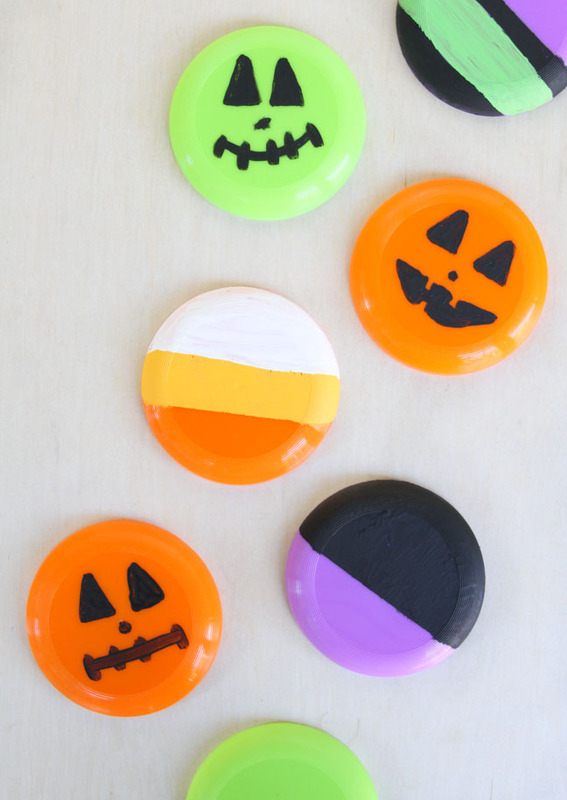 Now you have cute candy alternatives to pass out to trick-or-treaters on Halloween night.